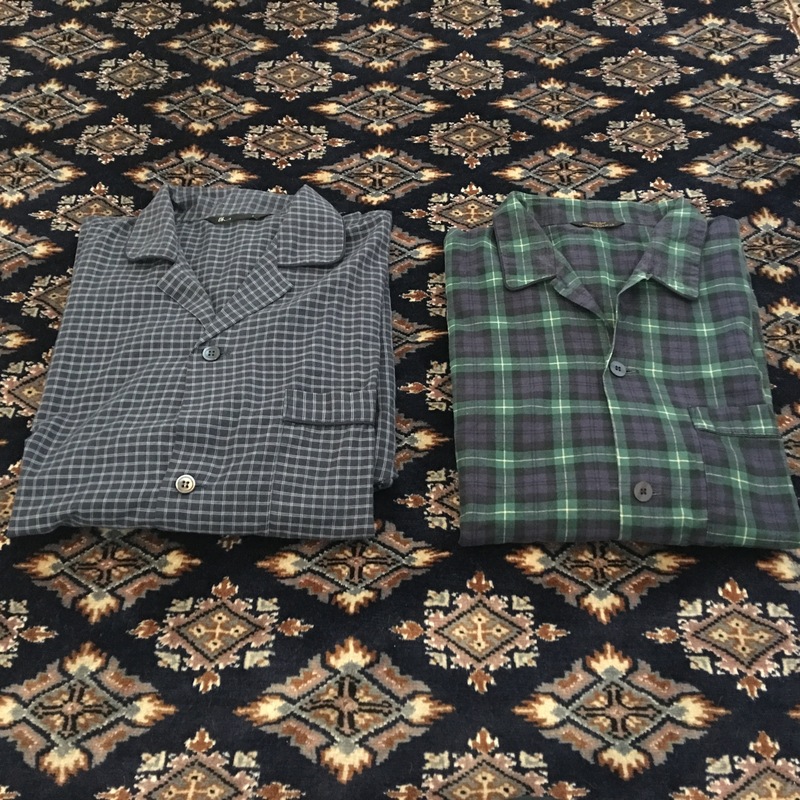 Below is a nice article about UK made pyjamas. The company mentioned make all their nightwear in Britain. I’ve not tried these pyjamas but they look good – html://www.pjpan.co.uk/about. Sir Plus dressing gowns are made in Britain. You’ll find many other made in England clothing items at Sir Plus. Everything they sell appears to be made in England. http://www.guda.me.uk/ – just pyjama bottoms; made in England. http://store.turnbullandasser.co.uk – Made in England. You’ll find many other made in England men’s clothing items at Turnbull and Asser. http://www.sogoodnight.com/ – for kids pyjamas made in England. http://jimjamz-gifts.co.uk – for babies and little ones – pyjamas packaged in jam jars designed to look like homemade jam – all produced in the UK. http://www.midnightlondon.co.uk – playful pyjamas for ladies and hot water bottle covers made in England from 100% cotton. Betty Blues Loungerie for women is made in the UK – pyjamas, nightwear, robes, etc. Budd shirtmakers pyjamas, nightshirts and dressing gowns are all made in the UK, as well as made in England shirts (off the beg or bespoke using English, Italian or Swiss milled cloth), pocket squares, braces by Albert Thurston, Tina Loader ties (other ties and cravats are foreign made), waistcoats, and Pantherella socks. Other items are generally foreign made. They say on their website “we are passionate in celebrating and supporting British craft and workmanship and all of our products are sourced here in the UK”, although of course that does not mean they are all made in the UK. They have a shop in the Piccadilly Arcade in London. New & Lingwood sell exclusive and very exclusive made in England dressing gowns and slippers, as well as made in England ties, socks (some are made in Italy though), scarves (again some are made in Italy), coats, shoes, and pockets squares (again some are made in Italy). Other items are generally foreign made. They also use English milled clothes for some of their foreign made suits and trousers, as well as some Italian milled fabric, off the peg and tailored. Their off the peg shirts are foreign made, although possibly their bespoke shirts are made in England perhaps using Italian milled cotton. They have shops at 53 Jermyn Street, London (on the corner of the Piccadilly Arcade) and in Eton, near Windsor. Emma Willis make exclusive dressing gowns and pyjamas in England, as well as made in England shirts, boxer shorts, and walking socks. Barrington Ayre make bespoke and made to order English made mens and ladies pyjamas and dressing gowns. Perhaps surprisingly given how much they cost, Derek Rose pyjamas are not generally made in the UK, although I understand some of their silk products are made in the UK and their mens slippers are UK made and they do sell a made in England dressing gown. 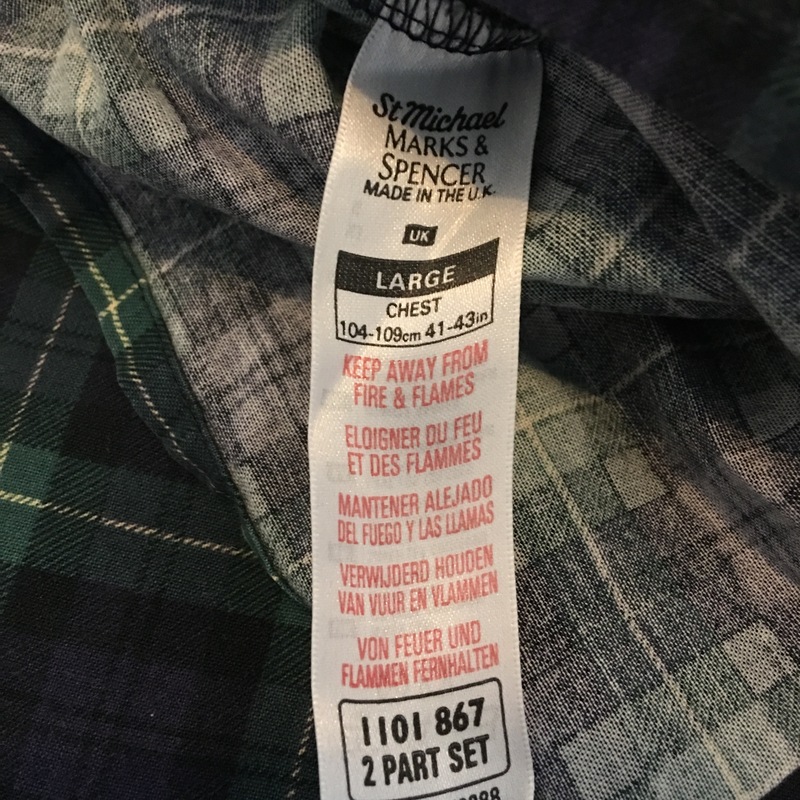 Marks and Spencer was the go to place for made in the UK pyjamas but these days Marks and Spencer nightwear, like the vast majority of their clothing range, is foreign made. Marks and Spencer made in the UK 100% cotton men’s pyjamas. Still in great condition for their age, which is pre-2006. Photograph by author. Marks and Spencer made in the UK 100% cotton men’s pyjamas. Still in great condition for their age which is pre-2006. Label detail. Photograph by author. Left – BHS made in China 65% polyester, 35% cotton men’s pyjamas – the elastic in the pyjama trouser waist has gone. 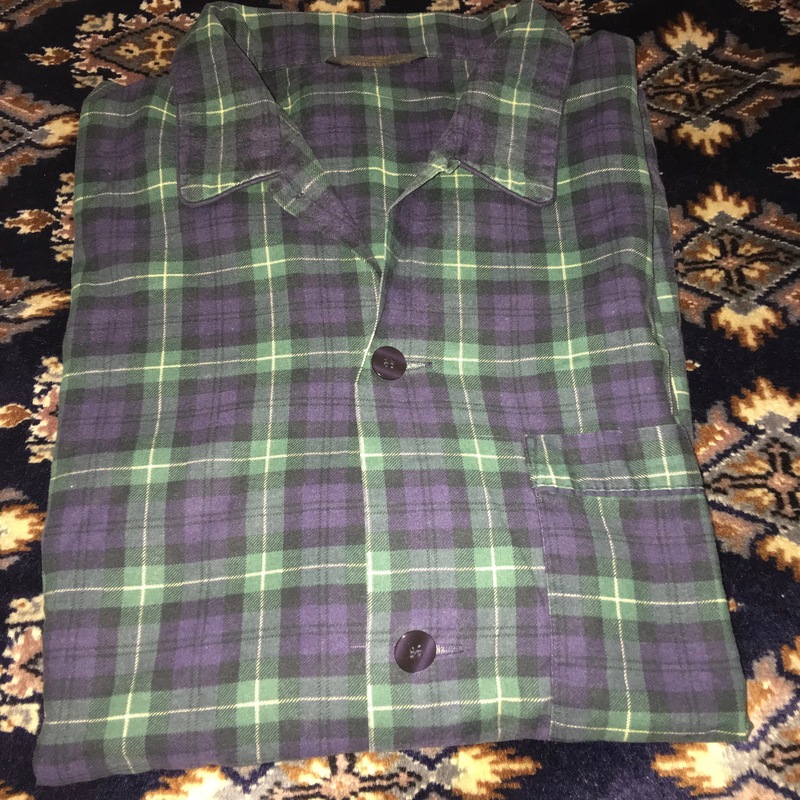 Right – Marks and Spencer made in the UK 100% cotton pyjamas, still in great condition for their age. Both pairs are of a similiar age and at least 10 years old as of Oct 2016. Photograph by author. Wild Geese seems to be a new pyjama brand intending to make in the UK (as of Feb 2015). Keep an eye on their twitter. The Reach London currently import bathrobes from Turkey. Their intention, if their summer 2016 Kickstarter is successful, is also to make cotton mens and ladies pyjamas in the UK. A few years a go, I would have been loathed to admit to wearing pyjamas. It wasn’t considered cool at all. I had been sleeping, for the last few years, bare chested with just a pair of Adidas Basketball shorts. My wife had suggested that I buy some pyjamas and had even suggested that she bought me some for Christmas. The sound of my indifference was deafening. However, in recent years the good old PJ seems to have made a bit of a comeback. Pyjamas seemed to feature in just about every TV show running. Particularly in British TV shows. The subject had come up again, and I was beginning to come around to it. This entry was posted in Clothing, Ladieswear, Menswear, Pyjamas, Nightshirts, Dressing Gowns and tagged Avaj, Barrington Ayre, Betty Blues Loungerie, British Made Pyjamas, Budd, Budd Shirtmakers, Derek Rose, Dressing Gowns, Emma Willis, G.U.D.A., Made in Britain, Made in England, Midnight Dream Outfitters, Midnight London, New & Lingwood, Nightshirts, pjpan, pyjamas, Sir Plus, Sogoodnight, The Reach London, Turnbull and Asser, Wild Geese on October 16, 2012 by ukmade.